Phelan was recently assistant at Norwich City, and replaces Steve Agnew who left Hull to join Middlesbrough in December. 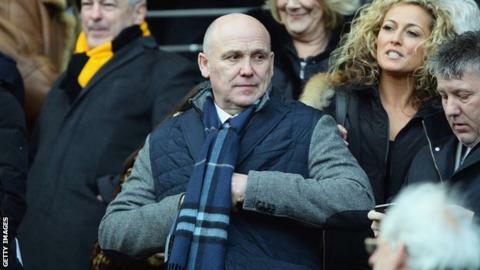 Hull City boss Steve Bruce has welcomed the addition of Mike Phelan to his backroom staff ahead of Saturday's fixture against Manchester City. Phelan was announced as Hull assistant manager on Thursday. Sir Alex Ferguson's former Manchester United number two and Bruce were team-mates at Norwich and at Old Trafford. Bruce said "He comes in at just the right time to add valuable experience, plus he has been assistant to the best boss we will ever come across." Hull lost 4-2 against Manchester City in September, despite being level with the Premier League champions at the interval. Some reports have linked Bolton Wanderers manager Neil Lennon with the Hull job. "We are in the bottom three so there is a problem," Bruce said. "I can't control what a newspaper says or what the speculation is. I am not going to take anything for granted but I would think the chairman, given the relationship we have, would tell me if I was in trouble. "He has backed me to bring in new players so I don't think he would have done that if he wasn't backing me." It is unlikely that the striker will be involved tomorrow, with Hull still awaiting international clearance. Bruce said: "We need clearance from the Russian FA before he's allowed to play. I would think there is a great chance he'll be available for Tuesday [at home to Aston Villa]. He is still in Paris at the moment so it is very unlikely he'll be involved tomorrow." "Yeah, nice easy one isn't it? But Middlesbrough and Burnley have got results in the recent past. What we have to do is get over the disappointment of the last few weeks. "If we make mistakes against City then we've no chance, but if we roll our sleeves up then we've got a chance."